Collection / Demo in LEEDS (LS15). Lamp Hours available on request. All Flghtcased and well looked after. 1500 W short arc discharge lamp with Lok-it! CMY plus variable CTO with non-fade coating technology. 7 position color wheel plus open. Interchangeable 4-facet rotating and indexable prism. Mechanical and electronic strobe effect 2 - 10 Hz, pulse effects, instant open and blackout. Gobo animation wheel with full movement / direction control. 1:5 zoom with focus tracking. Completely uniform dimming plus mechanical shutter for total blackout. Pan and tilt (540°/267°) with absolute positioning control. Modular design for easy maintenance, servicing and product conversion. Electronic ballast, fast lamp re-strike and flicker free light. Quietest fixture in its class. RDM ready, service USB and Art-Net II prepared. Battery powered TFT display and jog wheel navigation. Easy conversion between a profile and performance - no need to invest in two separate fixtures. 2 x 5 indexable rotating gobos plus open. 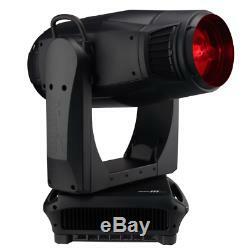 The item "Martin MAC III Profile Moving Head Stage Lighting" is in sale since Monday, February 4, 2019. This item is in the category "Sound & Vision\Performance & DJ Equipment\Stage Lighting & Effects\Stage Lighting Single Units". The seller is "soulchild333" and is located in Leeds. This item can't be shipped, the buyer must pick up the item.